The combination of the sour, spicy, and mint makes this an especially refreshing summer dish that can be prepared in less than ten minutes and be served hot or cold. Start by combining the juice of one lemon with a handful of chopped fresh mint in a bowl and set aside. Season your peeled shrimp with salt, pepper, and a spicy chili powder such as cayenne, Aleppo, or ancho. 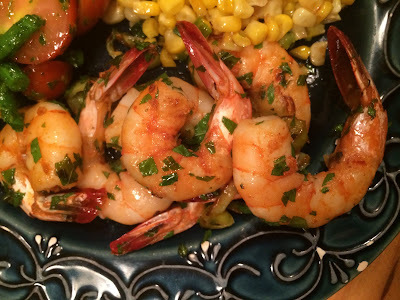 Using a grill or cast iron pan on medium heat cook the shrimp for two minutes per side or until they’re just barely cooked through. Remove and toss immediately with the lemon juice then salt and pepper to taste.